Steyer & Co., CPAs consults with organizations to handle business tax preparation, planning, and reporting activities regarding tax, accounting, and financial issues. We provide a range of services from business tax preparation to QUICKBOOKS® consultation, from conducting audits to developing budgets. When running a business, having the right accounting and financial information can be vital in making the best decisions for your business. However, most of the time business owners are not finance or accounting professionals. That is where the experts at Steyer & Co., CPAs can help. We let you focus on running your business while we take care of the financial management of your business through our outsourced accounting and financial report services. Our professionals have the technical experience and industry knowledge to help ensure that your financial statements are accurate and comply with the most recent tax and accounting requirements. Our services include compilations and reviews, including financial statement preparation, capital and financial analysis, and more. An audit by the professionals at Steyer & Co., CPAs can provide your business with the highest level of assurance. An audit is a methodical review and objective examination of the financial statements, including the verification of specific information as determined by the auditor or as established by general practice. Our services include a review of internal controls, testing of selected transactions, and communication with third parties. Based on our findings, we issue a report on whether the financial statements are fairly stated and free of material misstatements. An audit allows you to satisfy your business’ various stakeholders regarding the credibility of published financial information. Many times, businesses find themselves in a growth spurt and need to move into a new location or add an additional location to accommodate their clients. Without advanced planning, these businesses may fall short of funds and find themselves making unfortunate decisions for their business. We help you examine the financial and budgetary needs of an expansion and create a monthly budget that takes into consideration all the expenses you could experience with an expansion, such as insurance, utilities, and much more. Steyer & Co., CPAs works with business owners to increase their return on investment and help them formulate projections to guide long-term plans. We can also help businesses evaluate “what if” questions and make financial projections to provide a clear view of their expected financial position given one or more hypothetical assumptions. 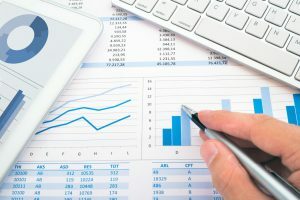 Steyer & Co., CPAs can also help businesses create realistic budgets, which allow management to predict the results of a specific course of action and compare to actual results. This can be useful in enabling management to change strategy to avoid unfavorable events. At Steyer & Co., CPAs, our management consulting services can help you identify areas impairing your business’ profitability and growth. Beyond that, we can suggest practical and sound solutions. In addition to acting as a sounding board for management, we provide comprehensive, flexible strategies that address issues affecting future growth. In addition to offering traditional accounting and tax services, Steyer & Co., CPAs is often called upon to provide value-added business consulting. Our professionals know and understand their clients to such depth that many clients believe we know their companies almost as well as they do. As a result of this deep client knowledge and our financial expertise, we are able to give responsive and timely advice on a variety of business matters. When it comes to paying employees, laws and the IRS have made the payroll function a time-consuming endeavor for small business owners. It is estimated that on average small business owners can spend up to eight hours a month performing payroll functions. That’s 12 full days a year that could be spent generating sales, prospecting new business opportunities, improving products or services, or servicing customers. At Steyer & Co., CPAs, we offer payroll solutions that meet your business’ needs and enable you to spend time doing what you do best – running your company. Outsourcing your payroll is cost effective, saves time, and provides worry-free payroll tax filing. We provide a wide variety of user-friendly and accurate payroll reports. We can include union reports, certified payroll, workers’ compensation reports, and more as needed. Expertise that turns the complex and complicated into easy and stress-free. We understand that tax compliance can be confusing, frustrating, and time-consuming. At Steyer & Co., CPAs, we believe it is our job to make your job easier. Our team works with you to ensure your tax compliance and develop effective planning that works in favor of your company year-round. Designed to address even the most complex and specialized tax matters, our services allow you to manage your tax compliance with confidence. When we partner with you, Steyer & Co., CPAs will evaluate your business activity through the current period and forecast the remainder of the year to assist you in estimating cash flow and potential tax liability. Tax laws can be complex, confusing, and sometimes confounding. They are constantly changing and creating additional challenges which require proactive approaches to tax planning. That’s why we work with our clients throughout the year, not just at the time of tax return preparation.